We offer free pick up and delivery with a quick turn around.​ Please call to schedule your appointment today. We recommend that oriental rug owners have their rugs appraised for replacement value. Like fine art and jewelry, oriental rugs should have a similar rider on their owner's insurance policy. 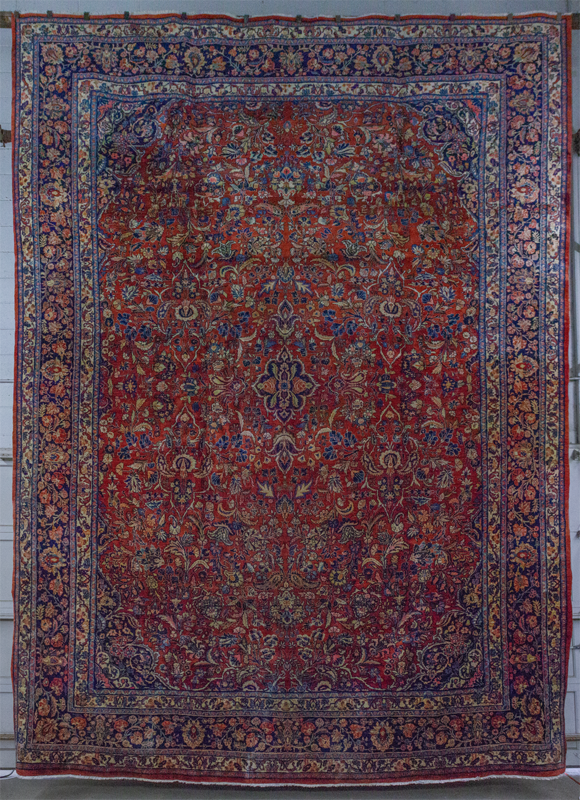 Due to the unique quality of oriental rugs, replacements would have a premium cost. 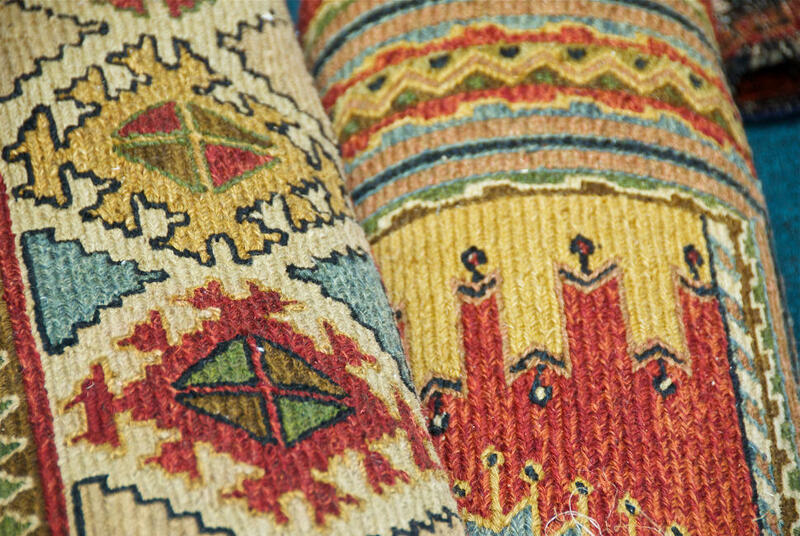 Call to schedule an appointment to have your rugs appraised. Our cleaning process is completed with every rug we receive. 1. 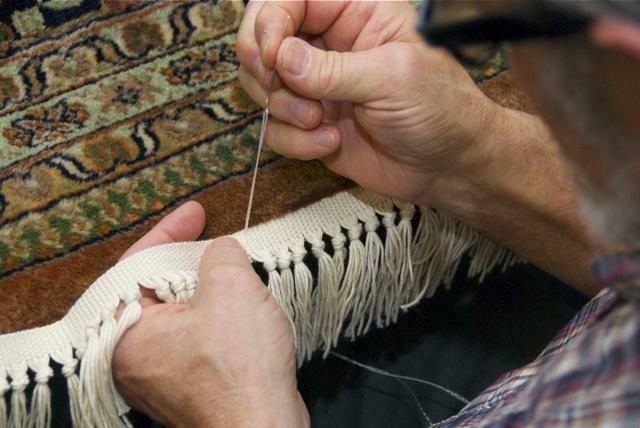 All rugs are measured, tagged, examined, and recorded as soon as they are brought in. 2. Repairs are suggested if they are needed. 3. Spots are pre-treated with appropriate cleaners on the face of each rug. 4. The whole rug including the fringe is then gently hand-shampooed with a mild cleaning agent and brushed in the pile direction to help straighten the pile and work in the cleaner. 5. The rug is rinsed and vacuum extracted with clear water also in the direction of the pile several times to thoroughly remove as much soil, soap, and caked on material as possible . 6. The rug is then hung on a bar to dry in our specialized, climate controlled drying room. 7. The following day, the fringe is cleaned again with an Oriental rug formulated, fringe cleaner. The cleaner is sprayed on, brushed in by hand, then rinsed with clear water, and vacuum extracted until all of the soap, soil, and cellulosic fiber (which causes cotton fringe to brown) has been removed. The rug is then re-hung to dry in the drying room. 8. When the rug is completely dry throughout, its fringe is combed, brushed, and trimmed evenly if needed to remove frayed edges. 9. The rug is then turned upside down on a wooden floor and dusted with a commercial beater bar vacuum until little or no dust comes out of the foundation, and any remaining spots are removed, if possible. 11. The rug is then given a final inspection, rolled or bundled, and prepared for its pickup or delivery. • Steps 3 & 4 are replaced by immersing the rug in a EPA registered disinfecting and deodorizing solution. • Step 5 is replaced by immersing the rug in clear water repeatedly until the water remains clear indicating that biological material has been removed. Jeff Cox is renowned in rug cleaning and repairs. With over 25 years of experience he has been highly sought for his expertise. His extensive knowledge in oriental rugs, care, cleaning, and reweaving has allowed him to be sought after by many prestigious clients and he can only be found here in Central New York. Visit us on Face Book to see current repair projects in progress. Please call for a quote on rug repairs. Click on the image below for our gallery of rugs for sale. The gallery is best viewed in landscape orientation on a mobile device. © 2014 Cox Craft LLC All right reserved.